The Only Thing Roger Loved More Than Movies… This isn't the best poster you'll see all year, but it might just be one of the best documentaries you see all year, which is why his is worth featuring anyway. 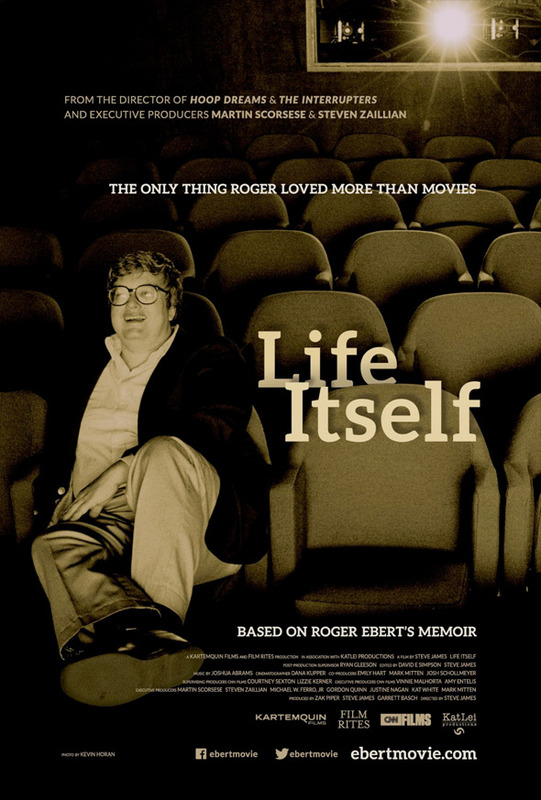 With a release coming up this summer, CNN Films & Magnolia Pictures have debuted the poster for the Roger Ebert doc Life Itself, directed by Steve James (Hoop Dreams) based on Ebert's memoirs of the same name. The doc first premiered at Sundance to glowing reviews across the board. It's the kind of doc where you feel every emotion, but by the end you'll be inspired to live and love life—and movies—as much as Ebert. Update! We've been informed by @Kartemquin Films that this is just the Sundance poster, nothing new. From the original Sundance 2014 guide: "In 2013, we lost Roger Ebert—arguably the nation's best-known and most influential movie critic. Based on his memoir of the same name, Life Itself recounts Ebert’s fascinating and flawed journey—from politicized school newspaperman, to Chicago Sun-Times movie critic, to Pulitzer Prize winner, to television household name, to the miracle of finding love at 50, and finally his 'third act' as a major voice on the Internet when he could no longer physically speak." The documentary premiered at Sundance 2014 and online to Indiegogo supporters. Read Ethan's glowing review of the film here. Life Itself will arrive in theaters this summer. For more visit EbertMovie.com or the Twitter/Facebook. Oops! Still nice to see Ebert so youthful.